"To my beautiful boy Brandon, you inspire me to become a better person so that you can be proud of your papa...I am happy that i can give you all the knowledge you will need to be a great food lover...I love you and you will always be my noodle..."
A quote from Lyn Yutang (sorry I don't really know this person except with this saying), "What is patriotism but the love of food one ate as a child?" If I could write a letter to a loved one to whom I would dedicate my craft, or a quote perhaps, how would I write it? It wasn't me who wrote the letters for Brandon, first, he's not my child, second I'm a mama, lastly, I don't have a book to dedicate it to. But I know the very man who wrote those loving words to his own boy. It is Chef Bruce Lim. Who doesn't know Chef Bruce? The bubbly star of Asian Food Network's Tablescapes with Angel Aquino, the big, bald hector (with his posse) of the new show The Boss, the owner of much talked about in the blogging world, Chef's Table and Hyphy's. What else is up on his sleeves? Chef Bruce this time with wife, Michelle, divvy up to the few Filipino listing of estimable cookbooks. I've always been a fan of his cooking styles and thus no words could ever be right to describe my admiration for the fancy fare their restaurants serve. To my delight I was invited for the launch of his first book, where Anvil Publishing in cooperation with Lee Kum Kee have released. INSIDE A CHEF'S LIFE, was launched last November 25 at Chef's Table. You can really see how passionate he is, for this book was written from the heart and have managed to share what his restaurants dish up. When I first met him at Hyphy's I knew from the start that his youth and family was the one who have engraved him to become a foodie and now a very famous chef, with how he named his dishes to how he shared how he learned to cook. 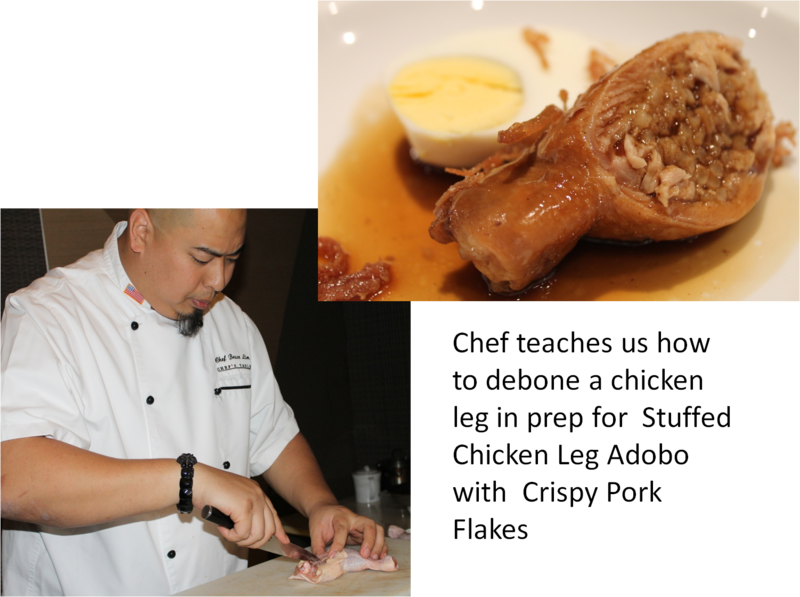 His love for Filipino cuisine shaped him into being "The Boss" of the new Filipino kitchen, however, since he grew up in the US, Western culinary techniques influenced his style. Like Nora Daza and the Daza children who now have names for themselves, he is becoming to be a household name. Now with his book, every household can try out his dishes and get to know him more not only as a chef, but as a father, son , brother and the real person he is. As what have occurred during the launch, we were all astonished with the unique style he had applied to our unfaltering Chicken Adobo and Pancit Sotanghon. He does fusion cuisine with ease but with machismo. The event was also graced by nonetheless culinary icon Nora Daza. We all know through her personal classes and teachings, she laid the solid foundation of kitchen management for the Filipino home. 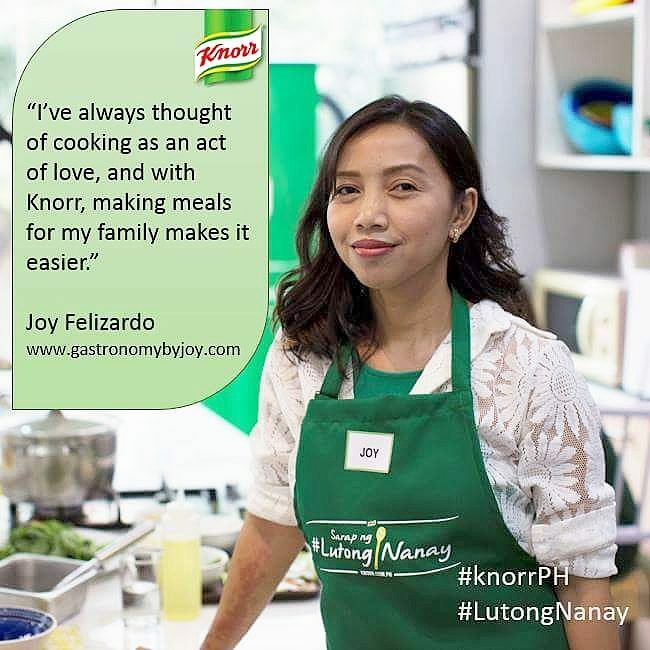 In addition, and more importantly, she bridged Filipino cuisine with the world gastronomy and was proud to fly our flag in Paris by way of her Au Bon Vivant, making us proud of our specialty dishes which she proudly cooked for the diners. With her is Chef Sandy Daza, A master chef who I have had fond memories with watching through our then big CRT TV, which really gave me help when I was still learning to cook. Let's just not say the year. It was really inspiring to see people as such, working hand in hand to help Filipinos preserve home cooking generate love to food which is home-spun. Along with the demo by Chef Bruce, we were all in for a treat of his cynical fusion dishes where the recipes appear magically in the pictures of the said cook book. We were served with the following for lunch. Calamansi Tuyo Spaghetti, mine has two tuyo (dried-salted fish), for my seatmate gave me hers. Please do check this blog out again for I will definitely make a review about this book. With this book in hand, I'll take you through a whole load of simple and accessible recipes that will blow the socks off your family and any guests you might have round for dinner. 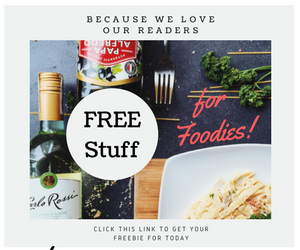 With all of us consuming more processed food than ever, it's a sad fact that most people just aren't confident enough to cook anymore, what more with a fusion fare. 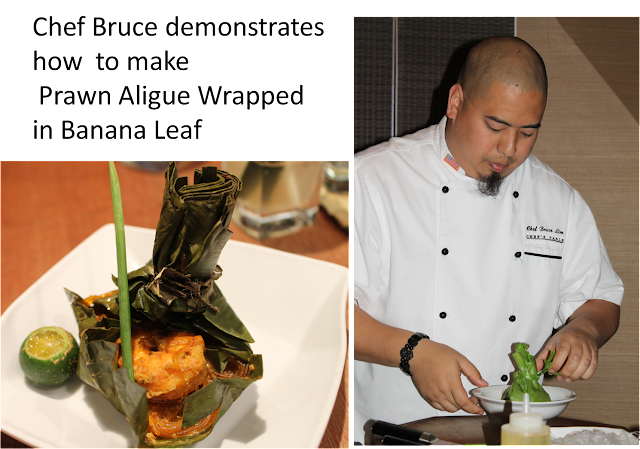 With this in mind, now is the time for us to get stuck in and reclaim our fantastic Filipino cooking heritage with more twists. Inside a Chef's Life is out at every National Bookstore outlets. If you want your copy with Chef Bruce's autograph, come on December 10, at 2 pm at National Bookstore in Robinson's Galleria. 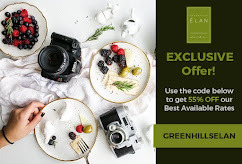 Aside from getting signed copies you will also get dining certificates from Chef'Bruce's new restaurant, Lutong Hinirang, located in the same mall, if you buy it there. wow, ang sarap naman! curious ako sa chicken leg with stuffing...yum! I'ts a must-try, they have that at Chef's Table and the recipe is in the cook book as well! Totoo! Gwapo talaga! Thanks for visiting Dhemz! me, too. curious ako sa chicken stuffing nayan. un prawn, looks super yum! ung tuyo, buti nlng di ako present, baka naging 3 pa ung tuyo s pasta mo^_^. Wow! I find his Buko Pie Martini really interesting... and that Prawn Aligue wrapped in banana leaves, so mouth-watering! wow!!!! ang sasarap!! pero paano nag debone noong chicken leg hahaha. Happy FTF. Hope to see you at my blog. awww look at the happy young chef, am sure the foods he prepared are as tasty as he is :-) Thank you for sharing. 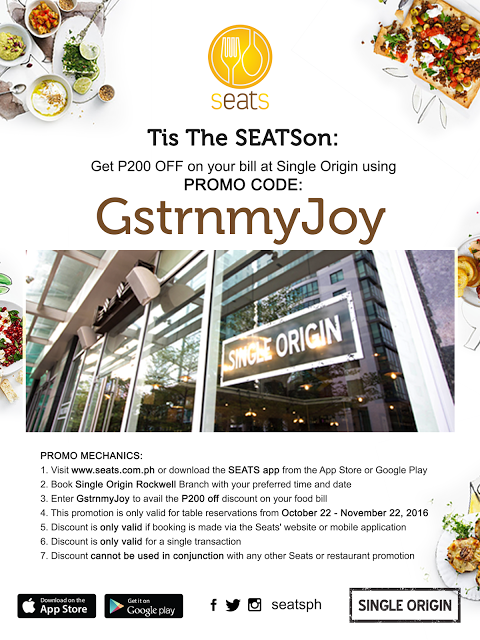 Dropping some love for Food Trip Friday, hope that you can return the favor too. Very creative, iba na talaga pag chef ano. wow1 it must be a fun-filled experience! wow! love all the food. I am so drooling and it's in the middle of the night. Haha. thanks for the follow and for the visit.. will follow you back!